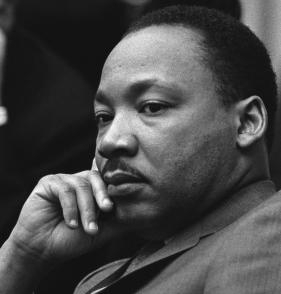 “Perhaps if he hadn’t come to Connecticut, hadn’t picked tobacco up here, hadn’t felt like a free person, hadn’t felt what life was like without segregation and been elected the religious minister, he may not have become such a leader in the civil rights movement,” Conard-Malley said. Nicole Byer, a junior at Simsbury High School who narrates the documentary, noted that King was roughly the same age as the students who produced the documentary. Such early experiences can have a profound influence on young people, she said. “I have to speak on some text every Sunday to 107 boys. We really have good meetings,” he wrote. “I have a job in the kitchen so I get better food than any of the boys and more. I get as much as I want,” he wrote to his mother. Byer says King and other students often worked in temperatures that reached 100 degrees or higher. The students, who were earning money to pay for college, made about $4 per day, Byer said. They lived in a dormitory built at the edge of the tobacco field. King was nicknamed “Tweed” by his friends because he often wore a tweed suit to church, said Alexis Kellam, whose late father, Ennis Proctor, worked with King that summer in Connecticut. King’s friends teased him that the hot sun in the tobacco fields caused him to preach, his sister, Christine Farris, told The AP. In her book “Through It All: Reflections on My Life, My Family, and My Faith,” Ferris wrote that her brother underwent a “metamorphosis” as a result of his time in Connecticut. “That was quite an experience,” Farris said. King’s widow, Coretta Scott King, wrote in her memoir, “My Life With Martin Luther King Jr.” that her husband talked of the exhilarating sense of freedom he felt in Connecticut that summer. Clayborne Carson, a history professor and director of the Martin Luther King Jr. Research and Education Institute at Stanford University, said King’s time in Connecticut played a role in his decision to become a minister and in influencing his views about segregation. He said shortly before King came to Connecticut that summer, a bus driver ordered him to give up his seat for a white passenger on the way to Atlanta. Conan O'Brien a Fading Star ?